The History and Unfolding events of an 18th Century Imagi-Nation ruled by the Duke Franz Zweifelin and his wife the Duchess Christina. I painted this unit going into the Halloween weekend. 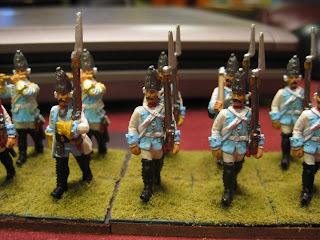 They're based on the Saxon Grenadier bataillon Kurprinzessin, using Eureka's 28mm SYW Saxons. The Duchy of Hefewiezenbach is turning into the more colorful of my armies at this point. 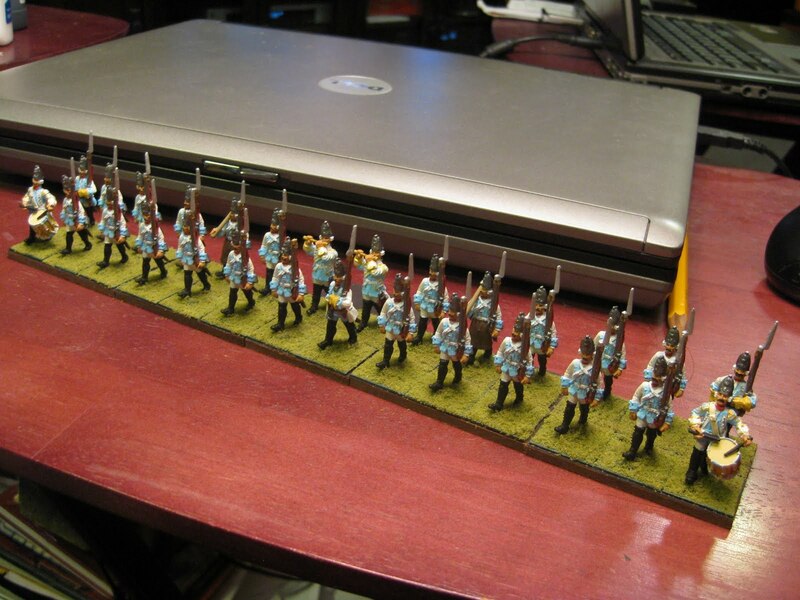 This is only a 28 figure unit, based for Black Powder. I will likely have to procure an additional 2 grenadiers from Eureka to bring this up to a strength of 30 figures. 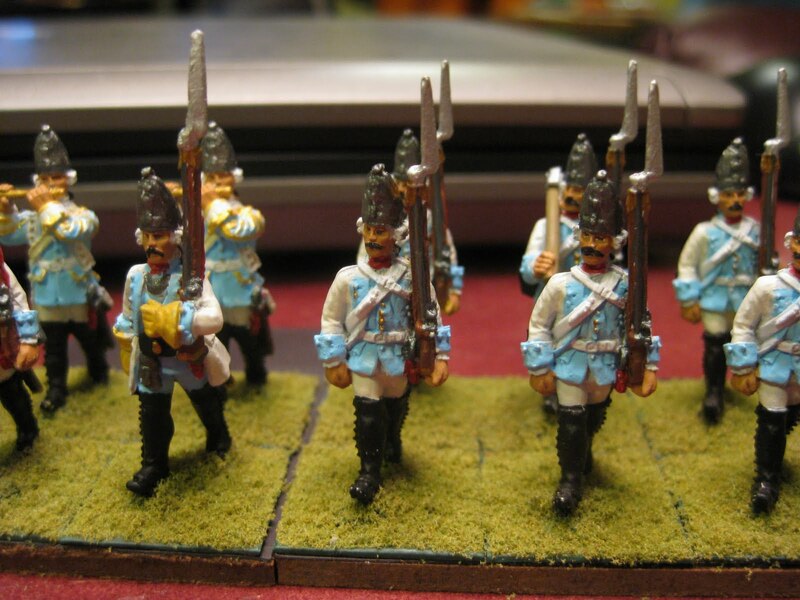 I'd like to convert those figures into standard bearers with the Hefeweizenbach colours. A mounted officer is not out of the equation either. Next up in my SYW/Imagi-nation queue are some Minden Miniatures Austrian Cuirassiers (3 squadrons of 12), various officers, and 2 Austrian gun crews. The goal is to have these done by Thanksgiving. Those are real nice; great paint work. I've been miniature gaming since the early 80's, starting with Grenadier miniatures for D&D. If a game has miniatures I'll more than likely be interested in playing.